The lanner falcon is a medium size falcon native to Africa, the southeastern part of Europe, and into parts of Asia. While not a common falconry bird here in the United States they are very popular birds for both abetment work and educational demonstrations. Like the peregrine falcon, the lanner falcon has dark grey/bluish colored feathers on their back. However, the lanner has more of a reddish color around their head. The lanner’s main diet is other birds, especially pigeons. While they take their prey in flight they have a different flying style than that of the peregrine. Instead of the typical stooping method of hunting the peregrine uses, the lanner uses a more horizontal hunting style not unlike a North and South American falcon they are similar in size with, the Aplomado Falcon. They come at their prey low, flat and fast and do not mind pursuit chase. Their longer tail gives them outstanding maneuverability, making them exceptional at lure work. Lanner falcons are also one of the few types of raptor that will naturally engage in cooperative hunting. Mated pairs will often hunt together and they have also been known to hunt in small groups during winter months if food becomes scarce. The lanner is very territorial and once they established a territory they don’t normally migrate. 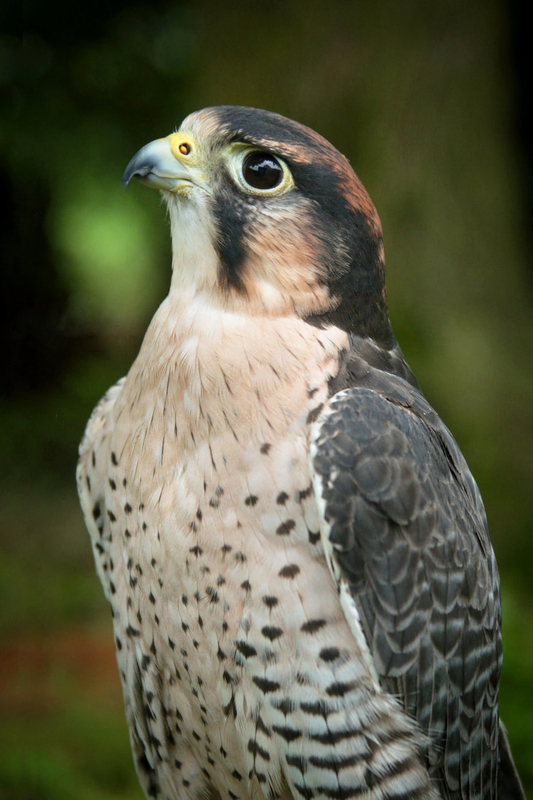 The lanner falcon is sometimes used as a “first falcon” by less-experienced falconers. What the lanner lacks in hunting power it more than makes up for in a manageable personality and enjoyable demeanor.